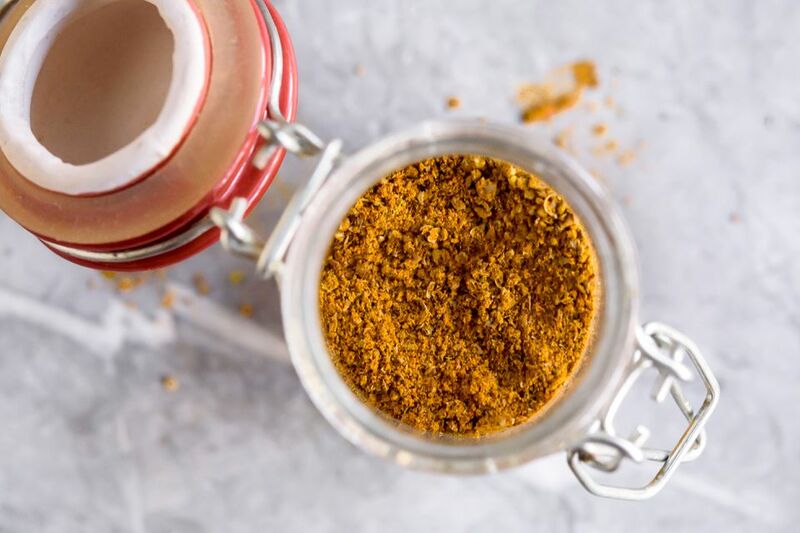 Curry powder is easier to make than you think, and the taste is so much better than store-bought powders, which, unless you're lucky enough to find an organic blend, usually contain bulking ingredients as well as preservatives (which you won't find listed on the package). This recipe shows you how to make your own so you can be sure it's fresh-tasting as well as healthy. Most Thai curries are made from a spice paste rather than curry powder, but this isn't to say Thai cooks don't use curry powder—they do. Using a curry powder rather than a paste means the curry is quick and easy to make—many of the roadside curries in Thailand are made this way. The following recipe creates one of the best curry powders you'll ever try and makes for superior tasting curries or curry-flavored dishes such as this easy classic curry chicken. Place all ingredients in a dry frying pan over medium-high heat. Stir continuously for 1 minute, or until pan is very hot. Then reduce heat to medium and continue stirring 6 to 10 minutes. This will lightly toast the spices, leaving them even more fragrant and tasty. Remove pan from heat and tip spices into a bowl to cool. Meanwhile, prepare your grinder. If using a coffee grinder, you will need to wipe it out very well with a damp cloth or paper towel to remove all traces of coffee. Place toasted spices in the grinder and grind well to make your curry powder. Use to season your favorite meat and enjoy! Stir together all of the ground spices—omitting the bay leaf until you cook your curry—and then dry fry them all together as instructed when using whole spices. When using this powder for curry, be sure to add 1 to 2 bay leaves to your curry pot. Feel free to adjust the spiciness of it according to your preference.